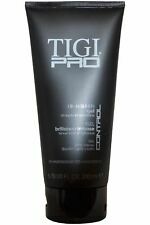 Tigi Pro by Tigi High Sheen Hair Gel 200ml Strong Hold and Shine . 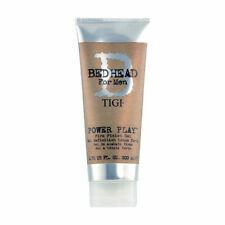 1 x TIGI Bed Head Balm Down Cooling Aftershave (125ml). 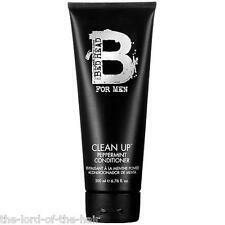 Bed Head B for Men by Tigi Clean Up Conditioner 750ml . Use daily to promote healthy hair growth. Formulated with a mixture of Ginseng Root Extract, Proteins & Natural Peppermint to give it a lovely fresh scent whilst simultaneously allowing it to condition and leave hair stronger. Loaded with Caffeine to stimulate hair & scalp. Contains FibroscalpTM cleansers to remove buildup dead skin cells grease & dirt. Bed Head Rockaholic Heaven's Door Repair Shampoo 355ml. Gently cleanses hair at the roots. Contains essential ingredients to boost hair strength & condition. Leaves hair soft radiant & healthy looking. Bed Head Rockaholic Heaven's Door Repair Conditioner 355ml. Contains essential ingredients to deeply nourish hair fiber. Leaves hair soft radiant & healthy looking. Contains ginseng root extract proteins & natural peppermint. Fosters healthy scalp & hair growth. Stimulates strengthens & nourishes scalp. Clean Up - Daily Shampoo 250ml, Clean Up - Peppermint Conditioner 200ml, Matte Separation - Workable Wax 85g. Unveils fuller thicker brighter & healthier hair. This advanced shampoo does much more than just remove build-up that weighs the hair down. Hair is left looking thick, full and strong. To use: Lather into wet hair, massage into scalp and rinse. Tigi Pro High Sheen Hair Gel will protect your hair whilst giving it brilliant shine. STAYUdotNET Team! Clean up daily apply shampoo on the hair and lather up. Rinse well and in combination with clean up Peppermint conditioner use. For daily cleaning. Marke TIGI. Stimulation of the scalp and promoting healthy hair growth. 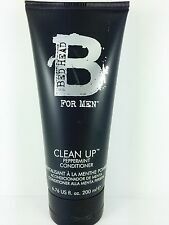 Tigi Bed Head B for Men Clean Up Peppermint Conditioner 200ml for Him, NEW. Cleans hair,Invigorates scalp. Used daily. 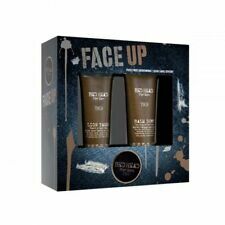 NEW Tigi Bed Head For Men Clean Up Conditioner 750ml. To use: Foam & massage into scalp to stimulate healthy hair growth. Rinse well. Encourages growth of healthy hair. Your hair will feel refreshed, soft and ready to style. A color enhancing conditioner for brunettes. Contains horse chestnut extract & rich in warm toners. Provides sharp color & exceptional shine. A high-tech cleansing solution with charcoal and caffeine refreshes and revives. Perfect for guys who need to wise up to scalp care. Marke TIGI. matte finish. Maximum capitalized texture and structure. Strong hold. Evenly apply into hair and arbitrarily varied texture. Buy more and save !! Größe Weniger als 100 ml. Detangles and provides healthy-looking hair. To use: Lather up, massage into the scalp and rinse. Marke TIGI. Refreshes and soothes the scalp. CLEAN UP PEPPERMINT Shampoo and conditioner. Beliebig Set aus Shampoo und Conditioner. gives suppleness and shine. Daily animation for every man hair. Produktlinie Bed Head. Product lather. emulsify For optimum distribution in a circular motion and rinse thoroughly. Marke Tigi. A stimulating shampoo for normal to slightly dry hair, which refreshes hair and scalp and cleanses. Marke TIGI. Thickening Conditioner. Haartyp Alle Haartypen. EAN 615908424690. Produktart2 Shampoo. Zustand Neu. TIGI Bed Head Rockaholic Styling Paste is a fantastic wax that can be used for all hair types. - Wax - Suitable for all hair types. With this paste, you get a more natural look, as it has a delicious. Marke TIGI. Power Play. Produktart2 Shampoo. Zustand Neu. Marke TIGI. Finish Gel. Power Play. EAN 615908425826. Hair Care by Tigi. Leaves scalp revived & hair soft & smooth & ready for styling. Loaded with Caffeine to stimulate hair & scalp. Skin Ceuticals. Contains FibroscalpTM cleansers to remove buildup & dead skin cells & grease & dirt. Distribute evenly, then thoroughly rinse. For the daily care. Marke TIGI. hickening conditioner. Easy care balance. Strengthening and building. Marke TIGI. Peppermint conditioner. EAN 615908411829. Produktart2 Shampoo. Zustand Neu. Hair Care by Tigi. Skin Ceuticals. Can be applied daily if needed. Size : 200ml/6.76oz. The Art Of Shaving. 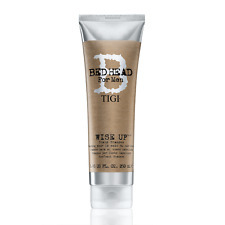 TIGI BED HEAD CLEAN UP. PEPPERMINT CONDITIONER.